Get Your DragonSlayer t-shirts, buttons, coffee mugs and more! If you are a fan of the dragonslayer stuff you might want to get yourself some nice swag to show your support! 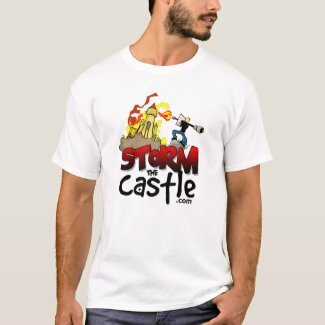 These are all professionally designed graphics and imprinted by a couple of different companies (cafepress and Zazzle). They offer a wide variety of items including t-shirts, coffee mugs, magnets, coasters, key chains and even wall clocks.